The client is one of the largest real estate franchise networks in the world operating in 80+ countries and employing over 85,000 agents across the world. Introducing a new business model, the organization has established itself as a professional real estate solution provider and covers a broad spectrum in real estate. A CMS portal allowing the users to search for specific properties with integrated Google Maps and keywords. 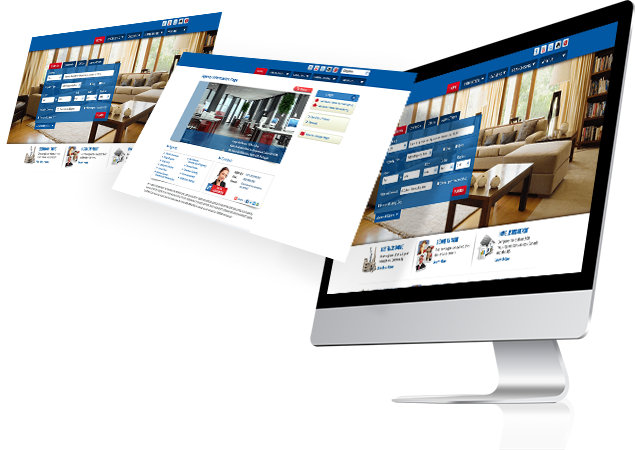 It enables agents and offices to create microsites to showcase the properties they manage, with innovative and individual ideas to keep the visitors fruitfully engaged. Apply various filters like property type, location, budget and find suitable properties easily. A user can save searches and mark them as favorite. A user can see Features, Images, Geolocation, street view of a property. Create website and list properties to sell or to let. Dynamic form builder with drag and drop functionality, CSS manager and templates help to change the look of the website. You can find real estate professionals near you or visit the nearest authorized offices. Region wise offices and agents will be displayed on the basis of their performance.